There are just 11 secluded villas which blend seamlessly with their surroundings and each was handcrafted on the island out of recycled or existing materials. The villas come totally self-contained with two bedrooms, a huge bathroom complete with marble sunken bath, a kitchen, lounge, outdoor sala and plunge pool. The fully retracting sliding doors ensure that you get uninterrupted views of the turquoise sea from every angle of the villa. In terms of dining, there’s no menu. The chef finds out your likes and dislikes and everything is then created specifically for you. If you can pull yourself away from your villa the activities on offer include diving, snorkeling, kayaking and fishing. Or, you can explore the four private beaches, take a dip in the main swimming pool which is hewn into a granite outcrop, indulge in spa treatments or relax in the library which is spectacularly built out of coral rocks. North Island is a special place and unashamedly aimed at providing privacy, total luxury and a once in a life time experience. All this does come with a price, with villas costing from €2,115 per person per night, including all meals, most drinks and activities. 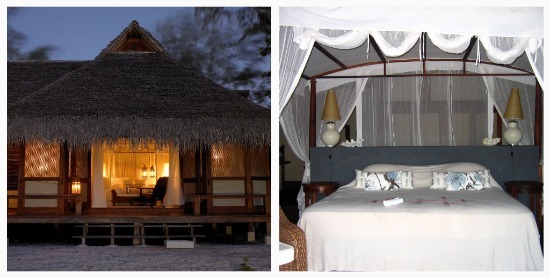 If you would like to experience castaway chic without the North Island price tag, I can whole heartedly recommend Vamizi Island in Mozambique, which is where the hubby and I spent a week of our honeymoon. It’s certainly remote. 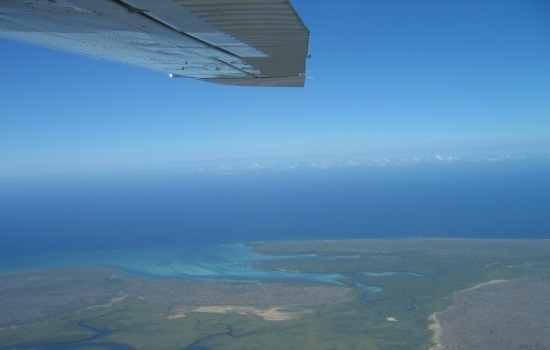 To get there from the UK it’s a 10-hour flight to Tanzania, followed by a two-hour flight to Pemba in Mozambique and then a 40 minute private transfer in a teeny tiny light aircraft. Once there, you’ll find clear balmy waters, talcum powder soft white sands, pristine reefs and only a handful of other guests to share your paradise with. 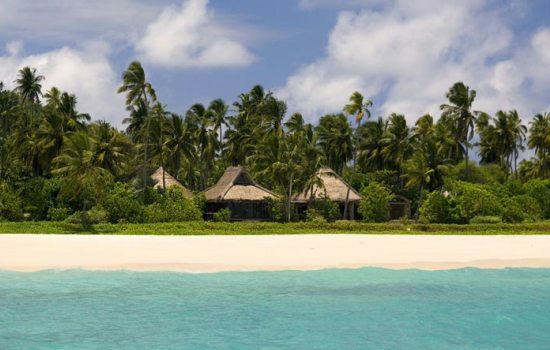 The 13 gorgeous and very private palm thatched villas are strung out along the beach, set back just enough so as not to disturb the nesting turtles. Each villa is beautifully furnished with huge beds draped in muslin mosquito nets, marble bathrooms and expansive verandas with Swahili day beds that are just perfect for an afternoon siesta. From your villa you step down to your own piece of beach. Vamizi is all about barefoot escapism so there are no TVs or air conditioning. Instead rooms are as open as they can be to catch the sea breezes and entertainment comes from the natural surroundings. Should you tire of the solitude, the open thatched bar and lounge area are great places to catch up with the other guests and to watch the sunsets. Dinner is served either in the restaurant, on the beach under the stars or in your villa. The hubby and I have clocked up a fair few dives all over the world and Vamizi has won hands down in terms of the best underwater show. This is because until the resort opened in 2005, most of the sites had never been dived before and so the reefs and coral are pristine. Other activities include snorkeling, hiking to the island’s old Portuguese lighthouse, fishing, kayaking or just taking it easy on a dhow cruise where you can watch flying fish skim across the water from your perch of squishy indigo cushions. Vamizi is a unique place offering seclusion and rustic exclusivity. Villas cost from $590 per person per night including all meals, most drinks and activities. But don’t just think that island retreats are only for honeymooners. We all need a bit of escapism at some point. May be its a landmark anniversary, a special birthday or just some time out from the stresses and strains of life. The Seychelles and Mozambique are just a few of the places to find amazing island retreats. If you’d like to sample your own little piece of paradise then please contact me so I can tell you about lots more amazing islands. 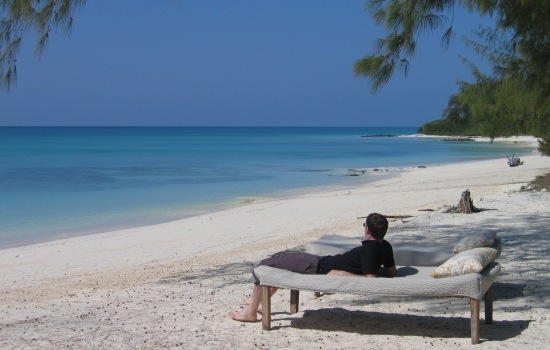 Also, feel free to leave a comment on my Blog letting me know about your favourite island retreats.